Lucid Dreams: how to have them with frequency? Lucid dreams may happen involuntarily during life and they are nothing more than the feeling of really being awake within the dream, being able to command the course of your subconscious at this stage of sleep. But even when there is awareness that we are dreaming, how can we create stories, make decisions, or even insert people and situations according to our wishes, for how long we want and how many times we wish? Did you know that you are actually able to control your subconscious and have lucid dreams whenever you want? Then it will certainly be easier to remember the dream through the techniques of lucid dreaming. Who has never wished to have taken one or another decision within their dreams, or even to be able to sleep and dream about what they want? 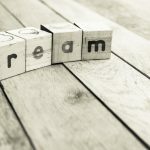 Lucid dreaming techniques allow the individual to wake up within his dream and control his subconscious so that he will have full control over his actions while sleeping. 1. The first step is the intention: the individual must have the intention of really wanting to have a lucid dream and he needs to make this very clear to this subconscious. 2. Then the second step is reflection: the future oneironaut must question its reality and find references in the real world so that the subconscious knows how to discern both. 3. The final and third step is self-suggestion: it arises when the individual states that he can live a lucid dream. After understanding these three well-defined pillars, then one must practice them on a daily basis, so that the individual comes to a stage when he can easily decide to have a lucid dream. In general, people usually forget their dreams in about 10 minutes or less after waking up. With that in mind, be willing to take note of the dreams you had before you even got up or perform any other task. Open your eyes and write down everything you remember, even if you go back to bed afterwards. If you do not want to write, you can make a recording or simply reflect for an instant, gathering as much detail as possible. Having this habit will condition your subconscious to remember more easily every dream you have, even during the nights you swore you did not dream but simply do not remember. In order to make your subconscious identify what is real or not – introducing the individual to lucid dreaming – it is important to practice with a certain frequency during the day brief reality tests, where we can choose around us, reference points to identify when we are dreaming. During lucid dreams it is common for things to look rather strange and the dreamer does not remember past events with clarity. So, next to the benchmarks determined in the reality tests, also ask yourself “what am I doing here?” or “where am I?”. In this step, we also return to talk about self-suggestion where, just before bedtime, tell yourself that when you are dreaming, you will be aware that you are dreaming. Being conditioned to this can help the subconscious to send you signals that you are in a dream. One of the techniques that can also help you to have a lucid dream is to set your alarm to play 6 hours after lying down to sleep. When the alarm starts playing, wake up, try to remember your dream and then go back to sleep. Finally, when you realize that you are awake in a dream, stay calm and do not try to do many things at the same time, as this may actually wake you up. Whenever you want to make a decision or take action, tell yourself that this is just a dream and allow yourself to take decisions, to do what you really like.